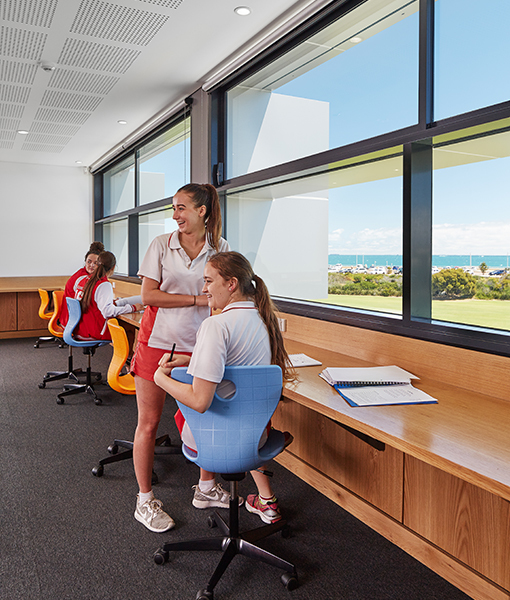 The new Koort Centre at Sacred Heart College in Sorrento, Western Australia, is located on a hill overlooking sports fields and with views to the ocean. 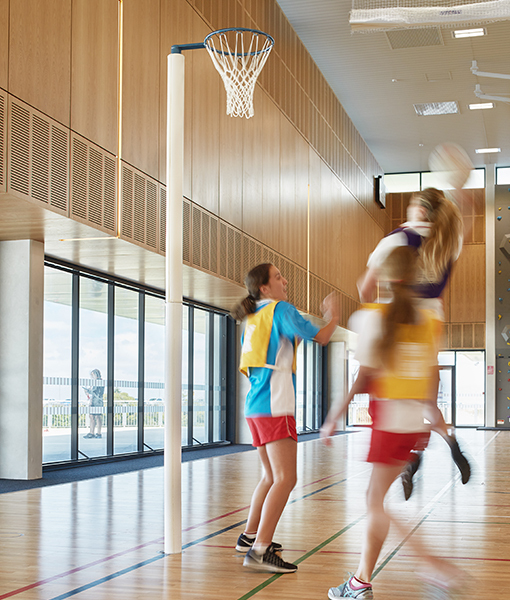 It provides state-of-the art gymnasium and multi-purpose facilities which will enable students to excel in their sporting and academic endeavours during and outside of school hours. 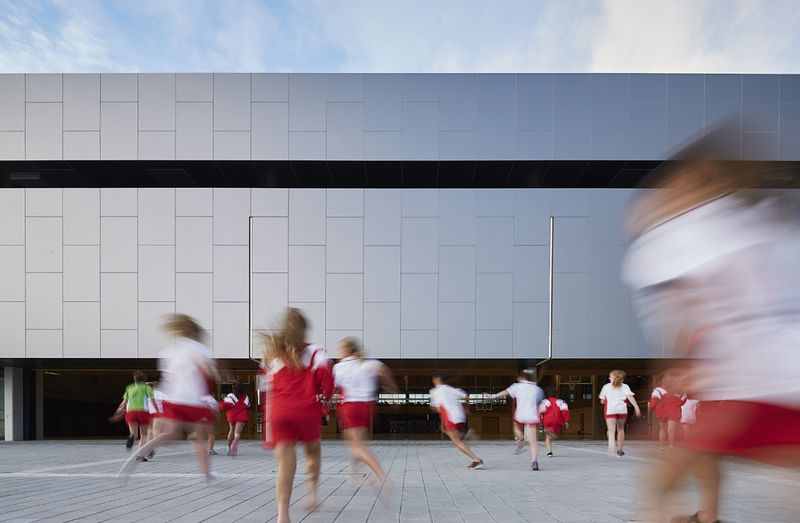 The College site has an 8 metre difference in level between the oval and existing buildings, presenting a design challenge in linking the sports precinct and learning wings. 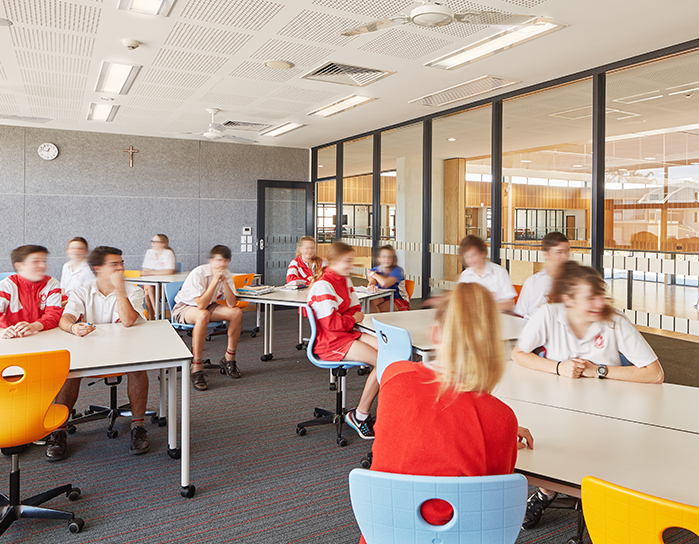 The new facility is sited 4 metres above the existing playing fields so that the first level classrooms align with the ground floor of the existing campus, with the generous forecourt creating a vertical connection to the playing fields. 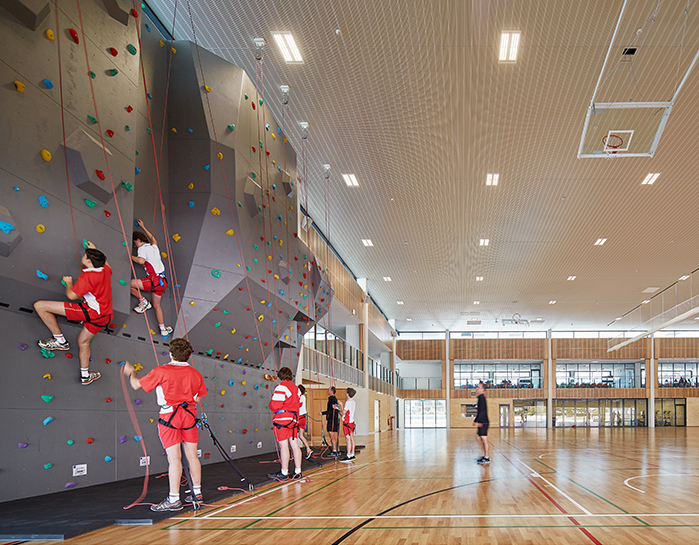 From the oval, the building’s height makes a strong visual statement. 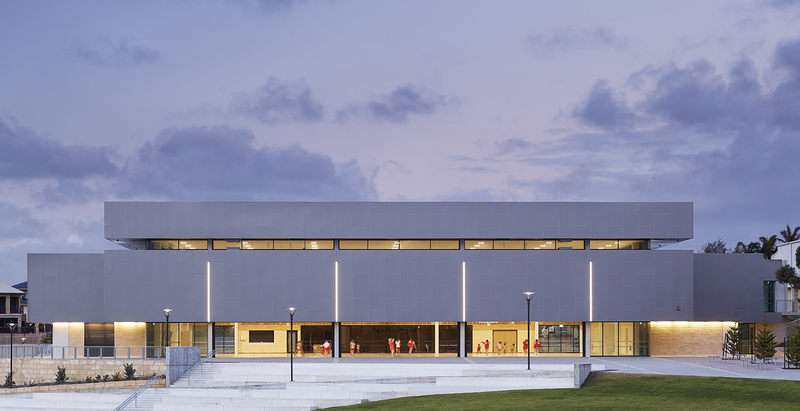 Large windows on the southern elevation allow full transparency with diffuse natural daylight, and a fantastic view out to the oval and beach beyond. 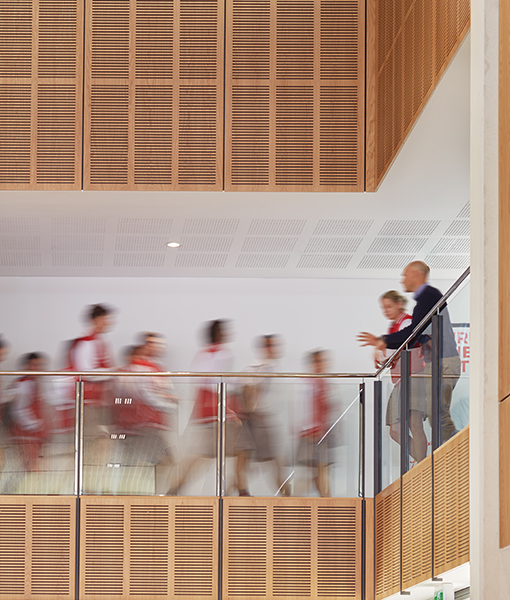 A key feature of the design was the seamless inside-outside transition and connection, taking advantage of the beautiful site and encapsulating the College’s vision of equality and universal access. 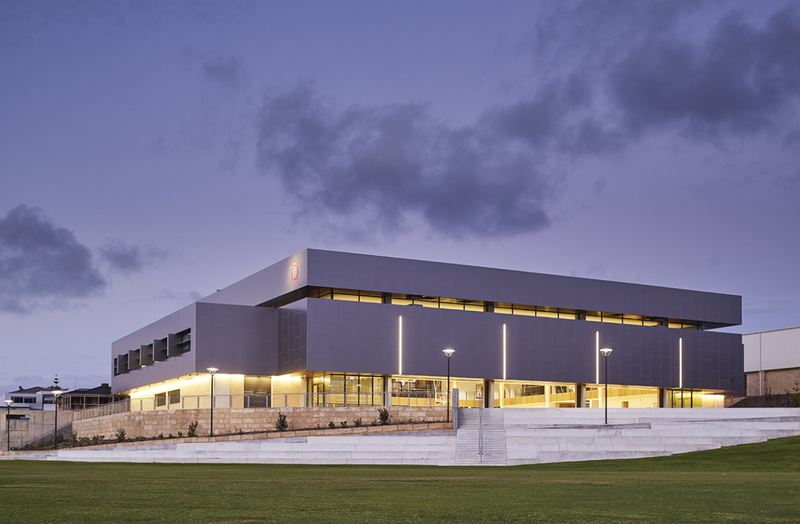 The spiritual, academic, cultural and sporting opportunities for students known at Sacred Heart College as the ‘Four Pillars’ are acknowledged in the building form by four vertical light sources integrated into the aluminium cladding on the southern elevation. 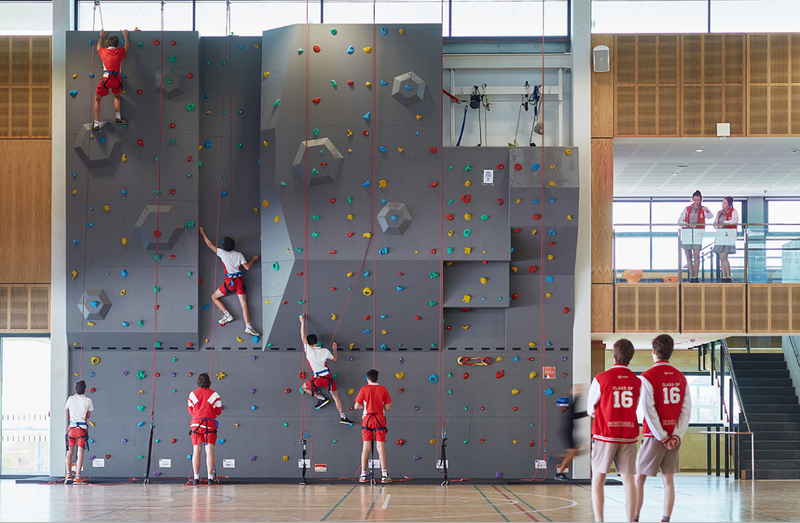 The two-level facility comprises two full size basketball courts, climbing wall, sports stores, weights room, bio-mechanics room, five classrooms, break-out areas, staff room and a kitchen-servery. 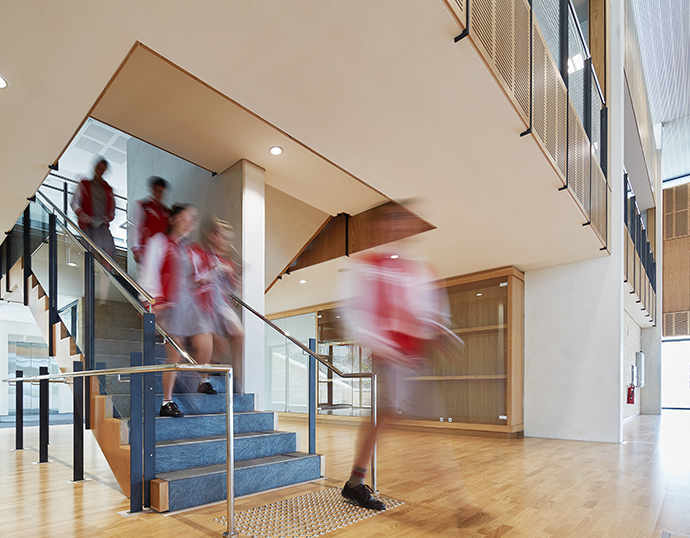 Natural, durable and robust materials were chosen to ensure sustainability and longevity of the building. 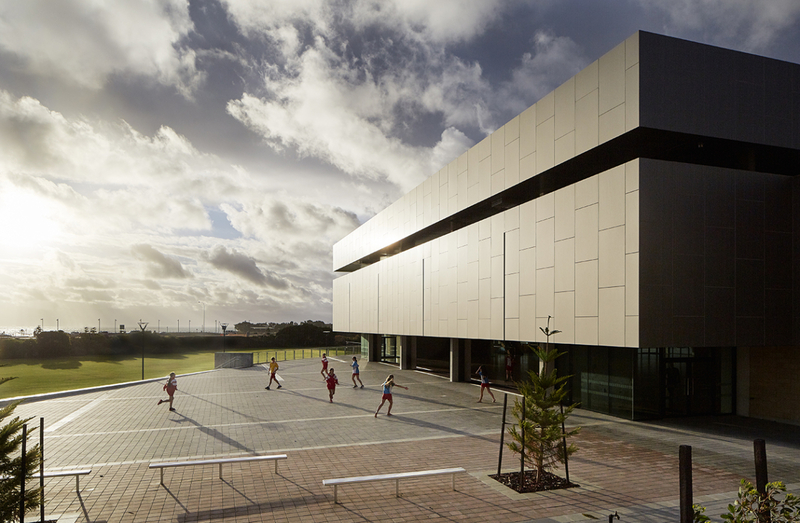 Local Tamala limestone is used both externally and internally on the ground floor to maintain the important connection to the outside whilst providing a surface that is strong enough for sports impacts. 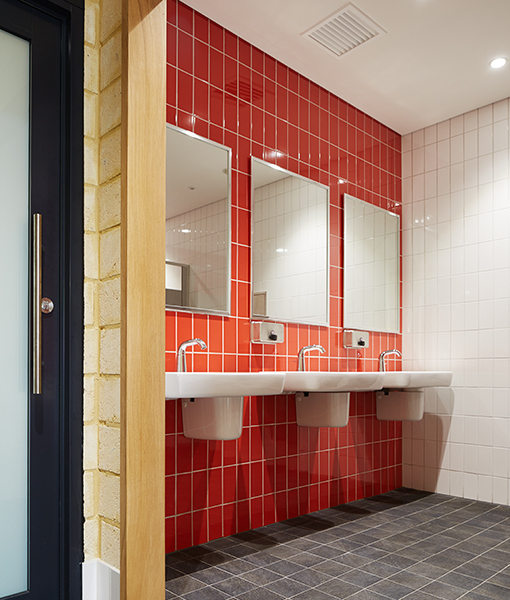 Self-cleaning aluminium cladding offers reduced ongoing maintenance costs and prefinished acoustic panels are functional yet add to the clean aesthetic. 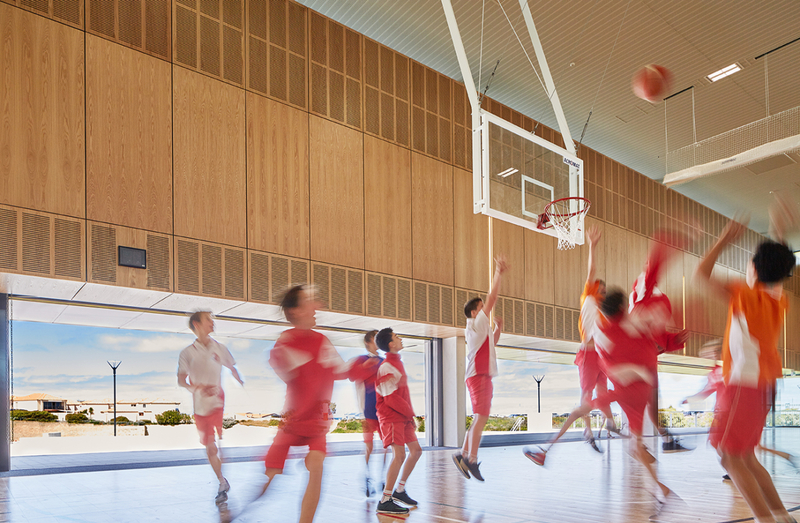 The sports floor and integrated audio visual equipment are of a world class standard. 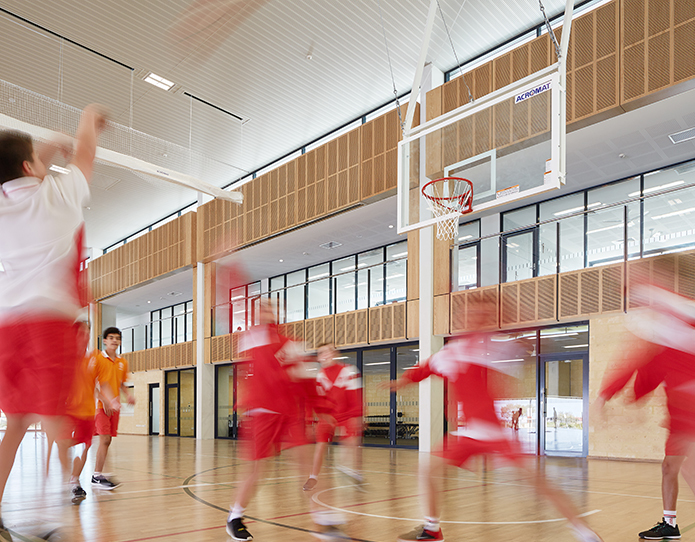 The new building provides a state-of-the-art facility for the pursuit of sporting and academic excellence.